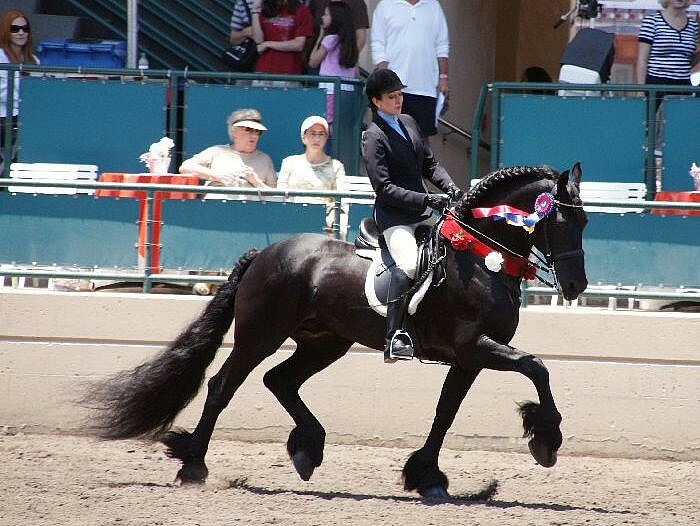 Fairytale Friesian Finder Service… helping riders acquire the Friesian that is RIGHT for them. We go to great lengths to match the RIGHT horse with the RIGHT rider, depending on the rider’s needs, budget, timing, etc, and Janna has not only won 16 world and national championships with her Friesian horses, and been awarded FHANA’s President’s Trophy, she has successfully matched more riders than anyone in North America with their dream forever Friesian partners. 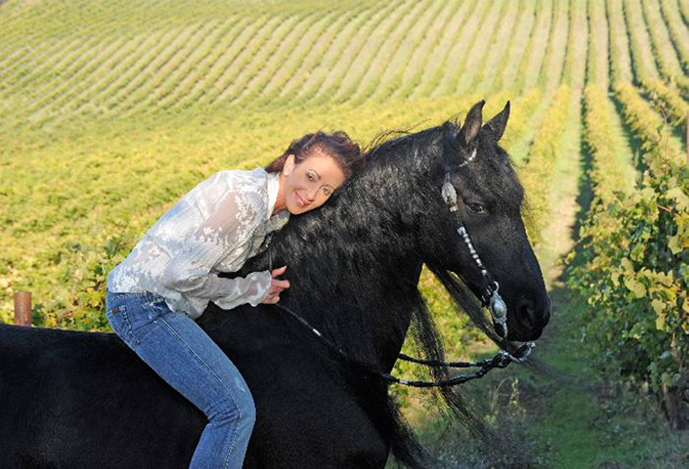 Janna will go to Europe with buyers on buying trips, if requested, and personally help locate a fairytale Friesian, negotiate the very best price, with contacts she has been purchasing Friesians from for the past two decades, and take care of exchanging funds to euros, arranging all the necessary vet checks and radiographs and bloodwork, arranging for transport of the horse to the Amsterdam airport, and arranging all the necessary import and quarantine services for a customer’s exceptional new dream Friesian! We frequently find and import EXCEPTIONALLY beautiful trail/pleasure horses, as well as offer accomplished sport horses with impeccable track records, winning in dressage, ONLY available by us. to Europe, and see and try numerous horses, only picking the best of the BEST, after testing riding, and arranging and paying for thorough vetting with the most renowned veterinarians in Holland,to offer AMAZING one of a kind horses to our discriminate buyers. 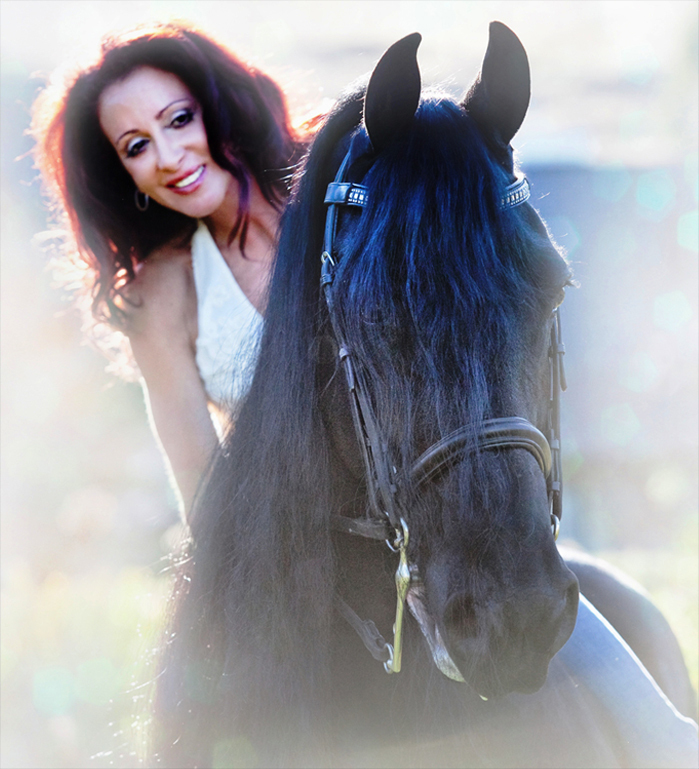 Call or email Janna, and let her know exactly what you are searching for, and if we don’t have it, we will find your fairytale Friesian for you! Janna won national acclaim in the saddleseat equitation division. 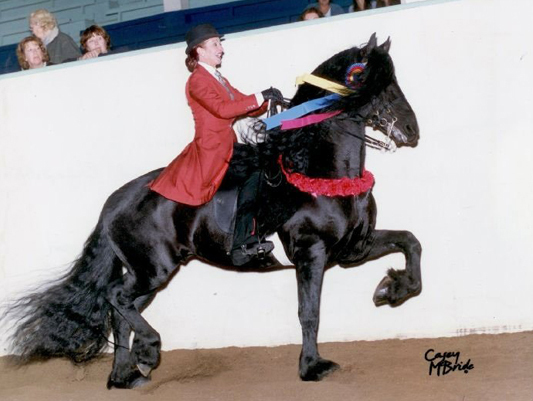 In 1983, she rode her American Saddlebred, Warlock, to two world championships and won the National Finals in Madison Square Gardens. 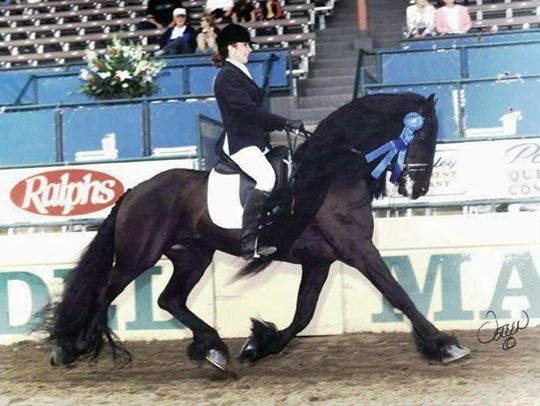 In 1992, she returned to the show ring to be named the U.P.H.A. Adult Saddleseat Equitation World Champion. In 1993, she was selected to represent the United States on the World Cup Team. 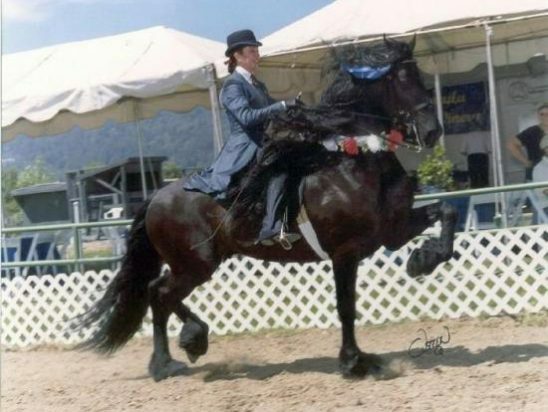 For years, Janna showed her Friesian 1st premie ster gelding, Black Sterling, in Open Western and English Pleasure classes, and the STER geldings, Majestic and Ate, in various divisions including huntseat, dressage, driving, and saddleseat classes, throughout the west coast, and at the IFSHA National Championships in Las Vegas and St Louis, taking home more than 16 world and national titles. 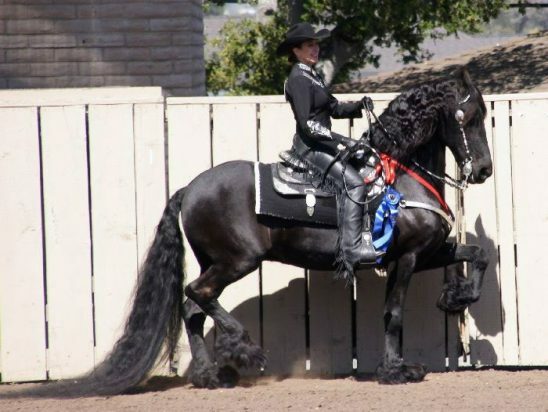 In 2009, Janna was presented with the President’s Trophy Award from FHANA for achieving the highest riding scores in North America, and was selected as the person who best demonstrates the versatility of the Friesian horse. 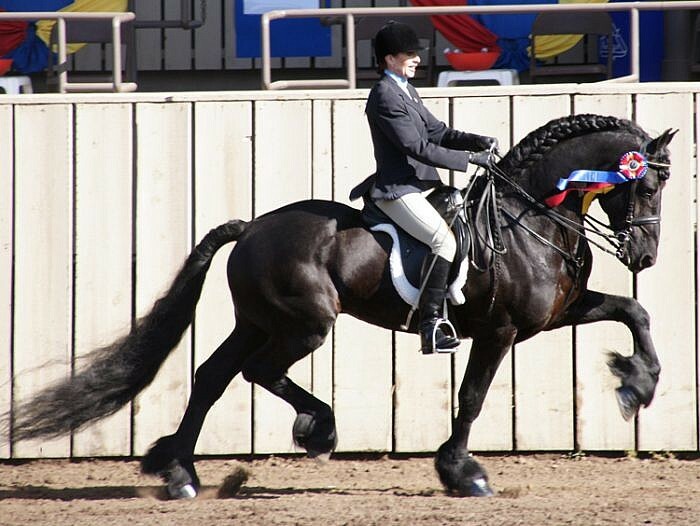 In 2010, she won an unprecedented nine National and World Championships, all unanimously under 3 different Judges, at the IFSHA Friesian Grand National Horse Show in Del Mar.